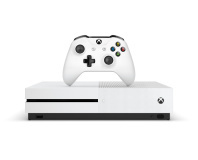 Microsoft has denied rumours that it is working on adding more computing power to its Xbox One console, even as rival Sony is said to be working on a PlayStation 4.5 hardware upgrade. The specifications of games consoles are typically fixed: the move to a faster processor or better GPU usually requires waiting for the next console generation. There have been exceptions, however: RAM upgrades were a common sight in 1980s home computers and even found their way into some video game consoles, while Nintendo has been playing with adding hardware to its devices for years - right up to launching a New 3DS hand-held console, capable of playing titles the original 3DS cannot. 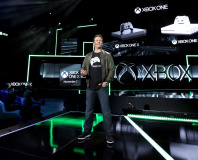 Claiming that the Xbox One, which lags behind Sony's PlayStation 4 in lifetime sales even before the latter gets a potential upgrade, is 'doing well,' Spencer reiterated previous comments that while the Xbox One - like the PS4 - may be based on commodity PC components, there has never been a plan that would see users incrementally upgrading the device over its lifetime nor for Microsoft to issue any updated designs beyond the usual efficiency and footprint improvements common to most consoles in their mid-life stage. It's a beast, to be sure.